If you want a quick five minute read every month with health tips, mindful thoughts and interesting links, then this is the newsletter for you. Scroll further to see the archive. It’s a great read so do sign up and start enjoying this monthly treat! We never share your details with anyone else. Ever. You can unsubscribe at any time. Thoughts and reflections for the end of the year | Read all about it in the POINTSPACE December Newsletter. Pointspace Issue 1 Chinese medicine tips for August and what story do the lines on your face tell? Pointspace Issue 2 Ways to help you bridge the change from summer to autumn. Pointspace Issue 3 Tips for October and getting ready for the cold, the TCM way. Pointspace Issue 4 pointspace turns one and tips for November. Pointspace Issue 5 Staying warm in December | 3 ways to help you survive the cold, and ways to help you deal with stress. Pointspace Issue 6 Happy New Year, Happy New You | Tips to help de-clutter your mind, and TCM kidney health in winter. Pointspace Issue 7 6 things you should do today | Taking care of your TCM heart and lessons from everyday life. Pointspace Issue 8 Celebrate Acupuncture Awareness Week and the workaholic’s guide to staying healthy. Pointspace Issue 9 Get ready for spring and 7 double duty beauty foods. Pointspace Issue 10 See inside for your Pointspace voucher codes | The importance of night and day on your health, and what makes a superfruit. Pointspace Issue 11 Mindful eating and Chinese medicine | What is mindful eating, and how does acupuncture work? Pointspace Issue 12 Get ready for summer | Tips for a happy and healthy summer and how to reduce joint pain and stiffness in 2 minutes flat. Pointspace Issue 13 Sitting too much doesn’t just hurt your waistline and 5 tips for a healthier, younger complexion. Pointspace Issue 14 September is the time to do a body MOT and easy ways to eat more vegetables every day. Pointspace Issue 15 Tips for a healthy and happy autumn and 14 food combos that can improve your life. Pointspace Issue 16 5 tips to help you de-stress and why stress makes it harder to kick the common cold. Pointspace Issue 17 Why the Grinch stole Christmas: Three things to remember this holiday season PLUS How to battle the bulge this holiday season. Pointspace Issue 18 Get ready for winter: Stay healthy and happy this winter with tips from traditional Chinese medicine PLUS How to bring mindfulness into your home. Pointspace Issue 19 How to nap: 6 things to remember for a quick day boost PLUS ways 7 top herbalists and doctors fight the flu. Pointspace Issue 20 Insomnia and traditional Chinese medicine | Tips to help you sleep better PLUS Acupuncture Awareness Week 2013, The BAcC gets accreditated by the Professional Standards Authority and can you tell how much 200 calories look like? Pointspace Issue 21 Spring and traditional Chinese medicine | Tips for the new season PLUS sprout your own seeds and a recipe for a colourful Mediterranean dinner. Pointspace Issue 22 8 simple ways to have meaningful happiness PLUS Building strong bones and simple tip to keep salad fresher for longer. Pointspace Issue 23 Music to relax you PLUS How to get good balance and delicious vegetable-based sandwiches. Pointspace Issue 24 Tips for a healthy summer PLUS Acupuncture is worth a try for chronic pain and 7 ways to spare your feet from the “summer spread”. Pointspace Issue 25 Need a news fast? PLUS Stress can wear the body and speed up the clock on ageing, cranberry pistachio energy bites and exercises for your neck. Pointspace Issue 26 Lack of sleep can lead to unhealthy food choices PLUS Pumpkin seeds and chia seeds for better sleep and September is the time to do a body MOT. Pointspace Issue 27 Prepare for the new season – tips for a healthy autumn PLUS 4 autumn foods you should have and what your looks say about your health. Pointspace Issue 28 Six stretches to do at your desk PLUS Easy weeknight dinners for November and heartwarming memories. Pointspace Issue 29 Mini-relaxations to ease holiday stress PLUS black bean hummus and tips for winter. Pointspace Issue 30 A brand new you PLUS warming soups and having acupuncture with cancer treatment. Pointspace Issue 31 How stress affects your food PLUS boost your immune system with turmeric, cayenne and bee pollen. 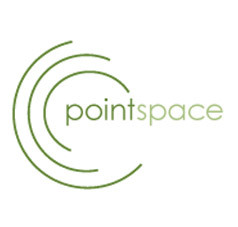 Pointspace Issue 32 Are you getting enough sleep PLUS Beet and chia pancakes and Acupuncture Awareness Week 2014. Pointspace Issue 33 Welcoming Spring PLUS Acupressure for hayfever, and why you shouldn’t have green smoothies. Pointspace Issue 34 How do you feel today? PLUS have some dandelion and 3 yoga poses for tired, achy feet. Pointspace Issue 35 A Chinese medicine’s look at men’s health PLUS 6 lessons we can learn from Chinese medicine and where do we feel our emotions? Pointspace Issue 36 Hurray for blue skies PLUS Cranberry jeltzer and what are acupuncture points? Pointspace Issue 37 Happiness happens PLUS Laughter may be the best medicine for age-related memory loss, 50 foods you should be eating and dietary (b)advice. Pointspace Issue 38 Wellness tips for September PLUS An introduction to Chinese medicine and 5 yoga poses to practice first thing in the morning. Pointspace Issue 39 The big picture of healthy eating PLUS Should you be drinking almond milk and the upside of pessimism. Pointspace Issue 40 Get set for the cold season PLUS How to get work-life balance, warming soup recipe and should you take cough syrup? Pointspace Issue 41 Spend some time reflecting this December PLUS Homemade chai tea latte and fix your neck posture with these simple stretches. Pointspace Issue 42 Happy New Year PLUS Should you have new year resolutions, a simple cold and flu remedy and keep warm with these recipes. Pointspace Issue 43 Organic vs Conventional Produce PLUS Sitting too much is bad for you and four ways to wake up feeling better in winter. Pointspace Issue 44 Tips to get better sleep PLUS Try these ways to relax. Pointspace Issue 45 Spring is finally here PLUS Use this deep breathing technique to calm yourself. Pointspace Issue 46 Look good to feel good PLUS Delicious pasta alternatives with a fraction of the calories. Pointspace Issue 47 Eating well for the summer PLUS What factors affect your digestion. Pointspace Issue 48 Tips for the summer PLUS Easy ways to upgrade your avocado toast and heal bruises faster with witch hazel. Pointspace Issue 49 Healthy ways to make the most of this August bank holiday PLUS Hit the reset button in your brain and easy exercises to stay loose on long flights. Pointspace Issue 50 September checklist PLUS How a quick glimpse of nature can make you more productive and what is turmeric good for? Pointspace Issue 51 It’s all about food PLUS Autumn and Chinese medicine and what comes after the Heimlich Manoeuvre? Pointspace Issue 52 Bones and hearing in Chinese medicine PLUS How do you pursue happiness and how to make a week’s worth of interesting soups. Pointspace Issue 53 How do you weigh a soul? PLUS Food is the future of medicine. Pointspace Issue 54 Start afresh in Janaury PLUS Winter and Chinese medicine and 11 refreshing smoothie recipes for your post-holiday restart. Pointspace Issue 55 Happy Chinese New Year PLUS Try something different for Pancake Tuesday and all you need to know about the Zika virus. Pointspace Issue 56 Getting ready for spring PLUS Human energy body clock and the many, many ways to wear a scarf. Pointspace Issue 57 Bring nature indoors PLUS Acupuncture and low back pain and 8 probiotic foods that aren’t yogurt. Pointspace Issue 58 The simple power of a smile PLUS How to stop blisters and what’s the most effective way to dry your hands? Pointspace Issue 59 Hello Summer! PLUS Why have acupuncture and what does a healthy gut look like? Pointspace Issue 60 Heart matters PLUS Sweet potato yaki soba recipe and five excuses for staying inside when it’s nice outside. Pointspace Issue 61 How does stress affect your gut health PLUS How to mitigate negative health effects of the 24 hour news cycle and what’s the best way to wash salad and vegetables? Pointspace Issue 62 Hello September! PLUS 6 reasons you’re feeling starving and do you need to drink 8 glasses of water a day? Pointspace Issue 63 Refresh with a seasonal drink PLUS How an acupuncturist fights the flu and cold and why does organic milk last longer than regular milk? Pointspace Issue 64 Are you sleeping well enough? PLUS Why do you always get sick when the seasons change and a relaxation pose to help you let go of stress. Pointspace Issue 65 Enjoy the festive season, your way PLUS How to stay healthy this winter with Chinese medicine. Pointspace Issue 66 Try this to feel happier PLUS 6 types of light therapy and why one neuroscientist started blasting his core. Pointspace Issue 67 The food element PLUS Three ways to boost nutrition and digestion for more productivity. Pointspace Issue 68 Spring is in the air PLUS No drugs for back pain say new US guidelines, instead try acupuncture. Pointspace Issue 69 Have a good April PLUS Smart things to do 30 minutes before bed. Pointspace Issue 70 Take care of the little things PLUS Kale isn’t the only superveg and what is dampness in Chinese medicine? Pointspace Issue 71 Eating for the summer PLUS Pros, cons and contraindications of using Turmeric. Pointspace Issue 72 Pump your leg and breathe better PLUS Exploring summer fruit through Chinese medicine and five ways to clean your water bottle. Pointspace Issue 73 Three things you should do this August PLUS Why cutting carbs is so hard and three types of medication that cause bone loss. Pointspace Issue 74 Hello September PLUS Gut healing vegetable broth (that isn’t bone broth). Pointspace Issue 75 How to fight colds and coughs PLUS How your sleep affect your health and do you need to change your bag for life? Pointspace Issue 76 Tips for winter PLUS why is it so hard to cut out carbs and three medications that cause bone loss. Pointspace Issue 77 Winter and Chinese Medicine PLUS recipe for black bean pizza crust with purple hummus, and can you suntan through a window? Pointspace Issue 79 Fight the flu with this delicious soupPLUS Reviewed in Grazia UK. Pointspace Issue 80 Welcome Spring PLUS How to not get sick on a plane. Pointspace Issue 81 Healthy tips to make the most of bank holidays PLUS Quick easy meal for midweek. Pointspace Issue 82 Summer protection PLUS How to stay cool. Pointspace Issue 83 Hello heatwave PLUS Do you have decision fatigue? Pointspace Issue 84 Super simple vegetable soup PLUS Your brain really does get slower in the summertime. Pointspace Issue 85 Welcome September PLUS Remedy for itchy skin. Pointspace Issue 86 Tips for autumn PLUS Airport security trays carry more germs than toilet surfaces. Pointspace Issue 87 A simple and warming soup for November PLUS more about food and Chinese medicine. Pointspace Issue 88 Thoughts and reflections for December PLUS the Hubble space telescope advent calendar.